Sometimes reading the Frankfurt deals seems a little (a lot) daunting as an agent. And as a reader they're so far out that remembering which books I want to look out for seems futile. But sometimes they stick with you. Like the announcement in 2017 that Viking had won an auction for Hanna Jameson's The Last. And now it's finally right around the corner! Well, it's coming out in early 2019, so that's practically around the corner. I think this sounds super fantastic and am dying to get my hands on a copy! 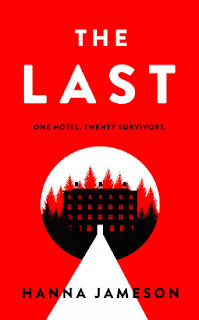 The Last is due out in January from Viking. By now you all know well my love for novellas and short stories. You also know how much I love horror. And Joe Hill's latest combines the two loves - novellas and horror - in a collection of four tales the perfect length for dipping your toe into the chilling waters of dark fiction. Snapshot - the arrival of a stranger in town leads to devastating results. 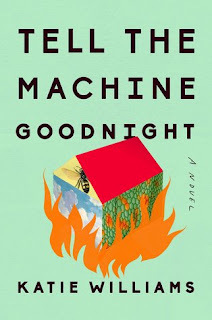 When a young boy realizes this stranger's arrival coincides with a neighbor's rapid loss of memory and the stranger's use of a particular polaroid camera, he finds himself on the wrong (or right, as it may be) side of a conflict that could cost him his own mind. Loaded - a mass shooting puts a lowly mall security guard in the spotlight when he saves the day. But as it turns out, this hero isn't quite what everyone thinks he is. As the story unfolds, his lies begin to unravel and he finds himself willing to do whatever it takes to make sure no one learns the truth. Aloft - an afternoon's adventure strands a man on a cloud that's anything but! Rain - a hot day leaves everyone looking to the coming rain shower for relief. But the rain is deadly and kicks off an apocalyptic event that leaves one man desperate to connect with his only remaining family, even if it means getting caught in another shower. I loved this collection. It's meaty and thought provoking, but it's also fun. Snapshot and Rain were definitely my two favorites. The latter of which is a post apocalyptic tale, so of course it hits all the right buttons for me in that sense. The former is a tale looking back on the narrator's childhood, a bit of a coming of age story, which I also love. Loaded is a bit of a touchy one to listen to in this day and age, but that's definitely the point. And it is likely the one to get your gray matter most whirling. Aloft is just plain weird and fun! I had the pleasure of listening to this one on audio book on a long road trip and it was quite perfect. Though each story shares a basic good vs evil theme, each one is very different in the telling and in tone. And each one has a different narrator to go along with that. Wil Wheaton, Stephen Lang, Dennis Boutsikaris, and Kate Mulgrew take on one story each and Joe Hill himself reads the afterword. 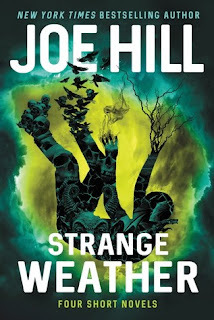 Strange Weather released in October of last year and won Hill the Stoker for "Best Achievement in a Fiction Collection." It's new out in paperback this week! Good morning, readers! 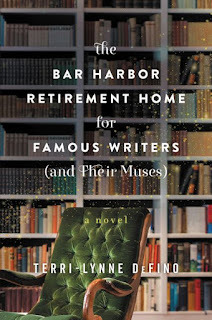 Today I'm a stop on the TLC blog tour for Terri-Lynn DeFino's The Bar Harbor Retirement Home for Famous Writers (and Their Muses). The Bar Harbor Home for the Elderly was founded with publishing professionals in mind. Authors, editors, anyone who made a living with books can stay there. Their newest resident, Alfonse Carducci, has been expected and there's much buzz about his arrival, but his health is not great and he spends much of his early days confined to his room. That doesn't mean no one sees him, though. Fellow author and one time lover Olivia Peppernell has been keeping him company. And Cecibel Bringer, an orderly who hides her face and the story behind it, has caught Carducci's attention. So much so that Cecibel has inspired in Carducci a new story. In return Carducci awakens a desire in Cecibel that has long been dormant - a desire to live life once again. A book about writers and books, what more could a book junkie ask for, right? The characters are gorgeously wrought and the story alternates between their story and the one that Carducci himself is writing. I'll admit Cecibel in particular was the narrator I was most drawn to and I did find myself occasionally rushing through the other parts of the narrative in order to get back to her story. The book is much more character driven than is my usual preference but there are small subplots that add an air of mystery to the tale and keep the story moving along. The biggest (back to Cecibel again) is the story behind Cecibel's injuries. Anyone who loves books about books will adore DeFino's debut! To see more stops on the tour check out the official TLC tour page here. And for more on Terri-Lynne DeFino and her work you can visit her website here. 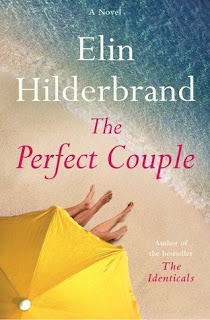 I've long heard that Elin Hilderbrand is the quintessential summer author and based on The Perfect Couple, I have to say I'm in agreement with that sentiment. The morning of Celeste Otis and Benji Winbury's wedding is one no one on Nantucket is likely to forget any time soon. Rather than nuptials and the sure to be grand celebration to follow, Celeste awakens to discover her maid of honor floating dead in the water. The police are called, the wedding is cancelled, and everyone at the Winbury estate of Summerland is a suspect until the investigation proves otherwise. As the local chief tries to trace back the happenings of the previous evening the suspect list doesn't shorten. It seems everyone at the Otis-Winbury wedding has something to hide. I've never read Elin Hilderbrand before, but I definitely will be reading more! Not only is this a summer read, it's a Nantucket summer read. Even with a murder investigation underway - which is just the present day thread of the story - Hilderbrand manages to squeeze in a bevy of balmy beach days, lobster rolls, and perfectly mixed cocktails to give the reader the ultimate Nantucket feel. That atmosphere of course offers a bit of a jarring feel against a backdrop of a dead maid of honor, but in a way that understandably draws the reader into the story even further: How could anything bad happen in such a perfect paradise? And of course that's the rub - it isn't a perfect paradise at all. The town itself is filled with locals just living their lives. The chief, raising his wife's twin niece and nephew after their own parents died (the subject of a previous book), the local head of security at the airport trying to get a date, the chief's nephew's girlfriend who just wants her boyfriend's adopted parents to like her... And yet, natives aside, Nantucket is the playground for the uber rich and fabulous like the Winbury family. Celeste Otis is nothing like the Winburys. Their extravagant wealth and their ability to buy and spend however they please is not something she's ever known. Her own small but tight-knit family of three saved scrupulously for everything they have. And at the time of her wedding, her mother is dying of breast cancer. So she knows how much the wedding means to her parents and she wants them to have a good time. Which presents a problem because Celeste is no longer sure about anything in her life. And her mother suspects it. As the story unfolds, readers are given an inside peek into various characters' perspectives both through their own narration as well as through the police questioning. There are multiple potential suspects, many potential motives, and so many places the story could go. Following along is the ultimate voyeuristic fun! And while the mystery at the heart of The Perfect Couple - what happened to the maid of honor - certainly pulls the story along and at a fabulous pace, but it's the characters as a whole that take center stage here. I loved every second of my time between it's pages and look forward to returning to Hilderbrand's Nantucket very soon! Good morning, readers! 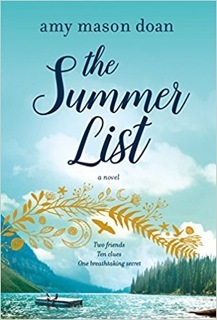 Today I'm a stop on the TLC blog tour for Amy Mason Doan's debut, The Summer List. It's been seventeen years since Laura and Casey last spoke. Seventeen years since their friendship fell apart. Laura's mother has kept her apprised of some of the bigger moments in Casey's life since, more out of spite than anything else. But the one time best friends haven't seen one another since Laura abruptly left their tiny town of Coeur de Lune, never to return. A pink envelope with a mermaid sticker changes all of that. An invitation to one final scavenger hunt together, a tradition started the summer before their junior year in high school. Laura knows it'll be uncomfortable but curiosity wins out. As they make their way through the list - one designed to bring to mind all the memories they once shared - the hunt also brings up a long buried secret that could break their tenuously mended bond once and for all. Ah the heady days of balmy teenage summers, dreadfully awkward high school, crushes, first loves, and best friends forever. The Summer List plays on all of that teen nostalgia - for me especially, considering I'm the same age as the characters. Their high school playlists and experiences read almost like a map to my own teen years. It's a bittersweet read as well, though. One I thankfully can't relate too closely to! Laura and Casey's story plays out in two timelines, interspersed with chapters from a perspective that only begins to reveal itself as the story progresses. Laura travels back to Coeur de Lune and the girls' quite stiff reintroduction, then we travel back to the summer they first met, hopscotching back and forth between the two timelines as the reason for the break in their friendship begins to become more clear. The third perspective is at summer camp - an unknown narrator with a crush on an older man, relegated to the camp while her own mother attends an adult retreat in the wake of what seems to be a breakdown. I loved this book, even the more heartbreaking parts. 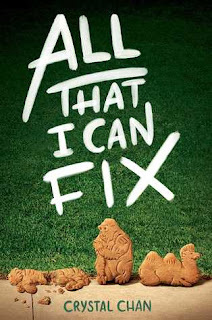 The friendship between Laura and Casey rang so true and reminded me of my own high school friendships and the mystery behind their split - as well as that of the third narrator and the secret the book's cover copy hints at - made this even more of a page turner. The Summer List is an excellently crafted debut and a read that'll give you lots to think about. Even at its heaviest moments, though, it's a quick and easy read that pulls you along from the very first page all the way through to the end. For more on Amy Mason Doan and her work you can visit her website here. You can also like her on Facebook and follow her on Twitter and Instagram. After much waiting, we're finally getting another Rose Marshall installment. 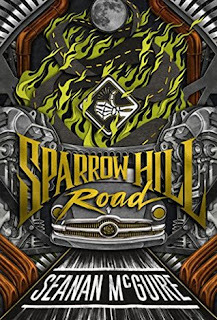 In preparation of the upcoming July release of The Girl in the Green Silk Gown, DAW is rereleasing Seanan McGuire's Sparrow Hill Road - with a brand spanking new cover, too! You may recall having seen this review back in 2014 but just in case you missed it, I'm reviving it here to get ready for the second volume! You all know her story - the Girl From the Diner, the Phantom Prom Date, the Ghost of Sparrow Hill Road... killed on her way to prom and forced to forever wander the roads in search of a ride home. Beneath the urban legends, the twisting variations of the story that started it all, is a girl: Rose Marshall. She wanders the highways and byways of the continent, hitching and helping those whose own fates are tied to the road as well. Some she's able to save, others she helps pass on to their final home. Savvy Seanan McGuire readers have already met Rose Marshall. The book originally started as a collection of shorts that appeared in The Edge of Propinquity, a webzine whose archives are available here. Twelve of Rose's tales appeared in the zine in 2010 and on her website McGuire notes that one of the stories is still available online through The Edge of Propinquity. Fortunately for the rest of us, most of those original stories have been gathered up and recently released as one volume by the good folks over at DAW! I could swear that Alvin Schwartz was the first to introduce me to a variation of the popular urban legend that spawned McGuire's latest. Seems like a likely candidate since Schwartz's various Scary Stories collections were tops in my creepy reads lists as a kid. Anyway, McGuire's spin on this classic story is excellent! She fleshes out the tale, giving life to the character in a way those passed along variations never could. It's interesting that this is still essentially a collection of Rose stories in one volume rather than a linear novel. And our spectral narrator does warn us of this in the beginning of the book. Some may find that leaves the reader with a feeling of disconnection but I kind of felt the opposite. There is a running plot that ties all of Rose's stories together and the book does feel very much like Rose telling us the chapters of her own life and afterlife. McGuire does a quite effective job of building a really complex world in Sparrow Hill Road. We see some other familiar supernatural presences - a Beán sidhe, mention of a white lady, and a new variation on the strigoi - but many of McGuire's otherworldly presences are new (to me at least). Routewitches, crossroads ghosts, hitchhiking ghosts, homecoming ghosts, and more live in this world. Some - bela da meia-noite, for example - are basically sidebar entries while others like the haunt and the maggy dhu do get brief cameos.